Lumentum Holdings Inc., a leading provider of photonics products for optical networking and lasers for industrial and consumer markets, and Oclaro Inc., a leader in optical components and modules for the long-haul, metro, and date-center markets, announced on March 12th, that the two companies have signed a definitive agreement, unanimously approved by the boards of directors of both firms, pursuant to which Lumentum will acquire all of the outstanding common stock of Oclaro. For each share of Oclaro stock held, Oclaro stockholders will be entitled to receive $5.60 in cash and 0.0636 of a share of Lumentum common stock, subject to the terms of the definitive agreement. The transaction values Oclaro at $9.99 per share or approximately $1.8 billion in equity value, based on the closing price of Lumentum’s stock on March 9, 2018, of $68.98. The transaction value represents a premium of 27% to Oclaro’s closing price on March 9, 2018 and a premium of 40% to Oclaro’s 30 day average closing price. Oclaro stockholders are expected to own approximately 16% of the combined company at closing. The transaction is expected to generate more than $60 million of annual run-rate synergies within 12 to 24 months of the closing and be immediately accretive to non-GAAP earnings per share. Lumentum intends to fund the cash consideration with a combination of cash on hand from the combined companies’ balance sheets and $550 million in debt financing. The transaction is expected to close in the second half of calendar 2018, subject to approval by Oclaro’s stockholders, antitrust regulatory approval in the US and China, and other customary closing conditions. Additionally, Oclaro on March 9th announced it is integrating its leading 400 Gbps technology into the QSFP-DD high-density transceiver form factor. This new 400 Gbps (4x100G PAM4) QSFP56-DD module will enable 36 ports of 400 Gbps per 1RU, representing a 400 percent increase in bandwidth and faceplate density compared to similar-sized 100 Gbps QSFP28 transceivers. Data center traffic is projected to grow at a compound annual growth rate (CAGR) of 27%, reaching 19.5 ZB per year in 2021. As such, it can be noted that due to the buyout announcement between Oclaro and Lumentum and Oclaro’s integration of their 400 Gbps technology, OCLR’s stock increase of 56.63% fell in accordance with the algorithms predictions which had accurately predicted the said rise using artificial intelligence and machine learning prior to the press release announcements given last week. Such an impressive stock hike outperformed the market by more than 51% on average over the past week. On February 14th, 2018, I Know First issued a bullish 1 Month forecast for OCLR stock. the forecast illustrated a signal of 47.95 and a predictability of 0.45. In accordance with the forecast, OCLR’s stock returned 56.63% over this one month period, highlighting the accuracy of the prediction produced by the I Know First algorithm. Current I Know First subscribers received this bullish OCLR forecast on February 13th, 2018. 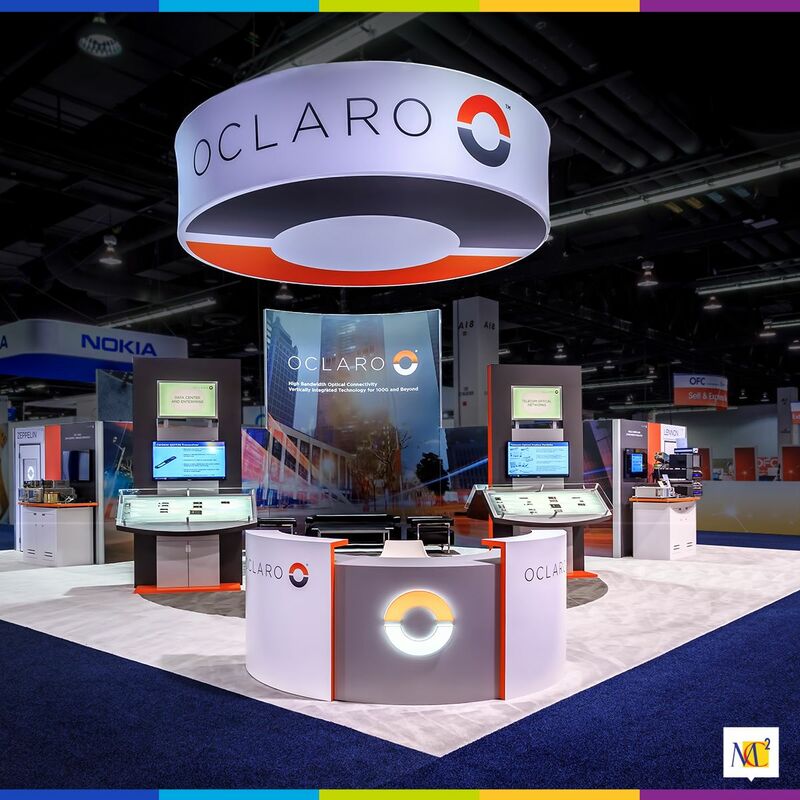 Oclaro, Inc. (NASDAQ: OCLR), incorporated on June 29, 2004, is a provider of optical components, modules and subsystems for the core optical transport, service provider, enterprise and data center markets. The Company provides various solutions for optical networks and interconnects driving the next wave of streaming video, cloud computing, application virtualization and other bandwidth-intensive and high-speed applications. The Company supplies core optical network technology to telecommunications and data communications equipment companies across the world. It targets communications equipment manufacturers that integrate its optical technology into the switching, routing and transport systems they offer to the global service and content providers that are building, upgrading and operating high-performance optical networks. It designs, manufactures and markets optical components, modules and subsystems that generate, detect, combine and separate light signals in optical communications networks. It supplies transmission products at the component level and the module level into 10 gigabits per second (Gb/s), 40 Gb/s and 100 Gb/s communications solutions.